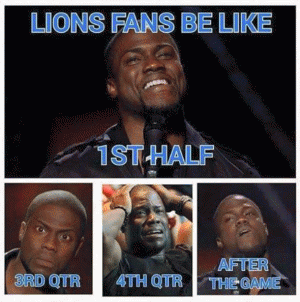 The Detroit Lions were six seconds and two points away from somehow salvaging a 1-7 start to get to 5-7 and in the thick of the NFC playoff race. 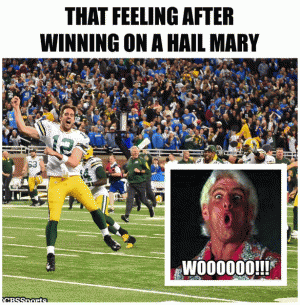 In turn, this victory would have sent the reeling Green Bay Packers to a 7-5 record, nearly eliminating the team from the NFC North race and putting a serious question mark on what was wrong with Aaron Rodgers and Mike McCarthys team. And then, from nowhere, a miracle. Or two miracles, to be exact. 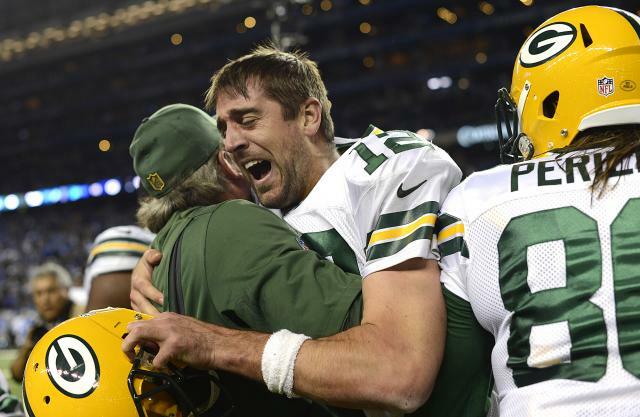 Green Bay, who had stormed back from 20-0 to trail just 23-21 got the ball deep in its own territory with 23 seconds left and a loss felt imminent. 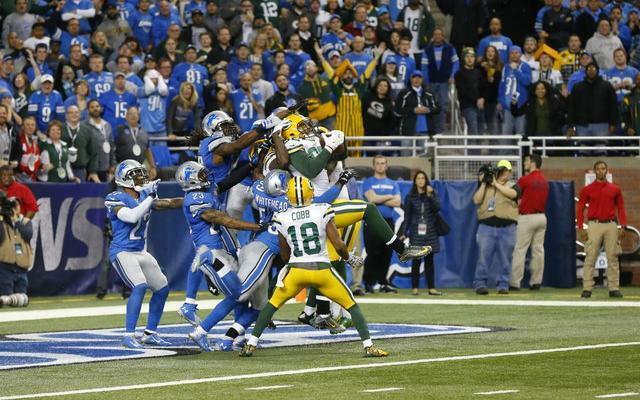 Then it felt definite, after James Jones fell in bounds on a 3rd-and-10 pass, as time expired. There was 0:00 on the clock. 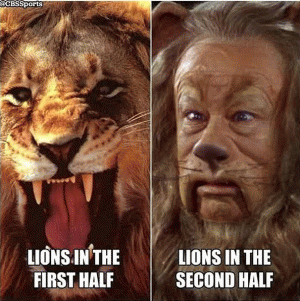 The Lions had won. 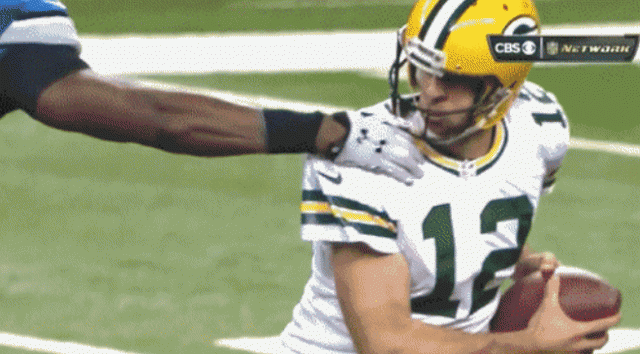 But refs called a controversial facemask on Detroit's Devin Taylor, who grabbed at Aaron Rodgers, giving Green Bay one untimed down from its own 39-yard line. And then this happened. Also, check out these two dudes at the 40-yard line! Doing what?! Why are they there! 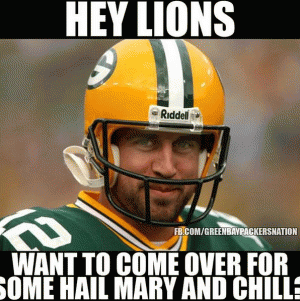 Just in case Rodgers and the offensive line pull off a reply of the Stanford-Cal game? Come on. 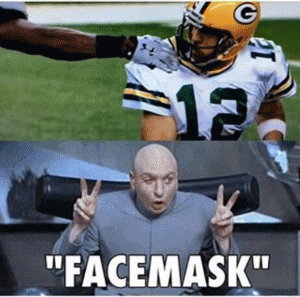 But about that facemask the one that extended the game by one down. Take a look at it. Then take a look at it again and again. Then look some more. What do you think? Well, its not close. 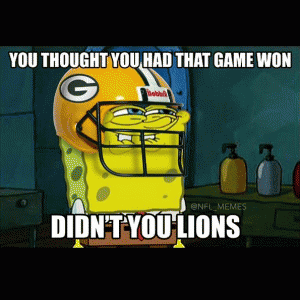 If you think Taylor grabbed anything more than his Rodgers shoulder pad, then you either have a cheesehead somewhere in your house or own lots of yellow and green clothing. This was not a facemask. It wasn't even close. 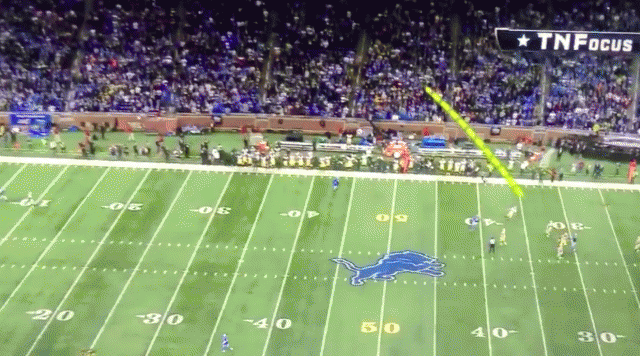 The game should have ended and Detroit should have won. The problem is, this is almost an impossible call for officials. 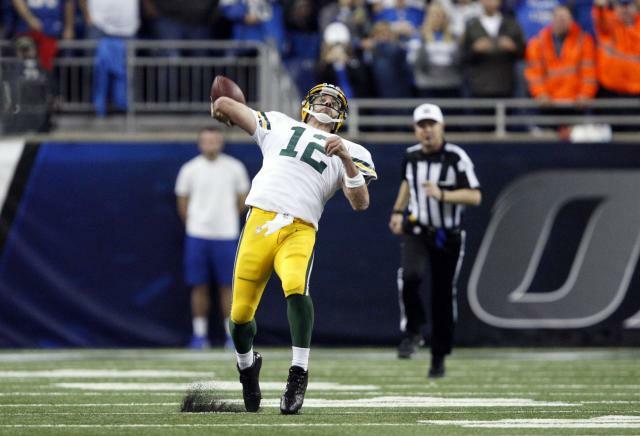 Its easy for us to make after watching the slo-mo gif from this angle multiple times, but in the moment from where the official was positioned, how could he know the reason Rodgers head jolts backward is because of the force of the pull on his jersey? 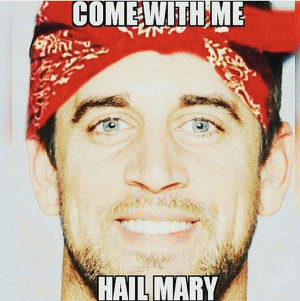 He cant. Its nearly impossible. 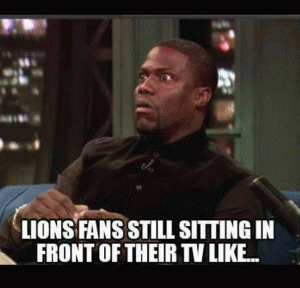 But Detroit wont take comfort in that. 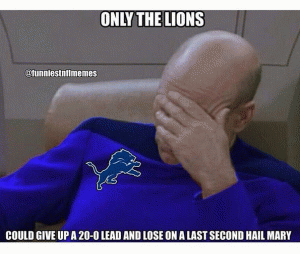 Lions fans will be groaning about the facemask and the awful Hail Mary defense all winter, because after seemingly winning a game and staying alive in the 2015 playoff race, the teams season is almost officially finished, done in by a miracle play from a desperate team that's all of a sudden a Super Bowl contender once more. But relax, Motor City. Lets get real: You weren't winning out anyway.